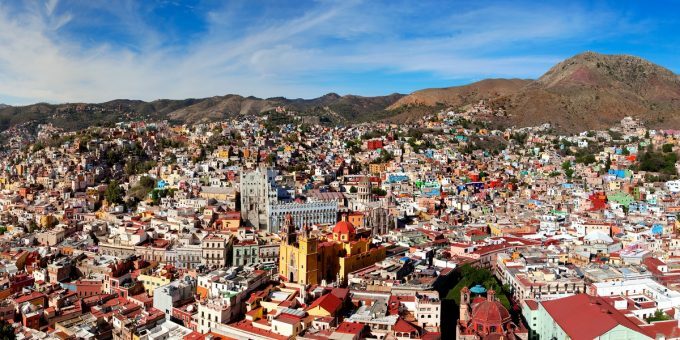 The colonial city of Oaxaca, which can be reached on a comfortable 5-6 hour road trip south from Mexico City, or a short 45-minute flight from the capital, is one of the most rewarding travel destinations in Mexico. 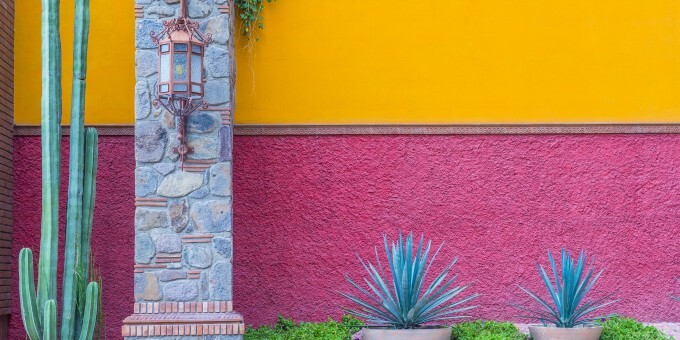 About eight miles east of the city center is the village of Santa Maria del Tule, where you’ll find what can be seen in most towns and villages in Mexico: a quaint church, a small plaza, and local markets. However, thousands of Mexican and foreign visitors flock to this village every month to witness something you cannot find elsewhere in Mexico—the remarkable El Tule, a 2,000 year-old living tree. 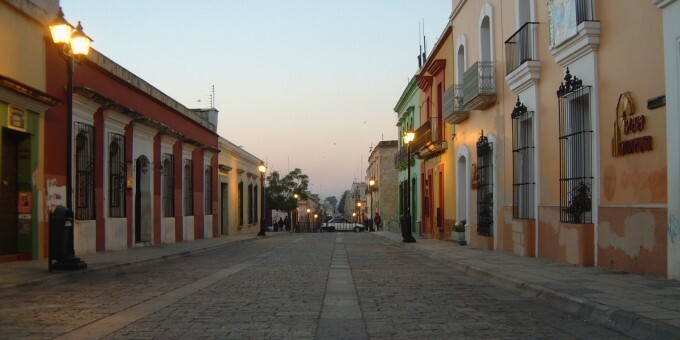 Getting to Santa Maria del Tule from Oaxaca City is very easy. You can either take one of the local buses which run to the village every quarter of an hour or so from the city’s local bus station, or you can take a local taxi for a modest fare. The journey time takes about 20 minutes on the bus. 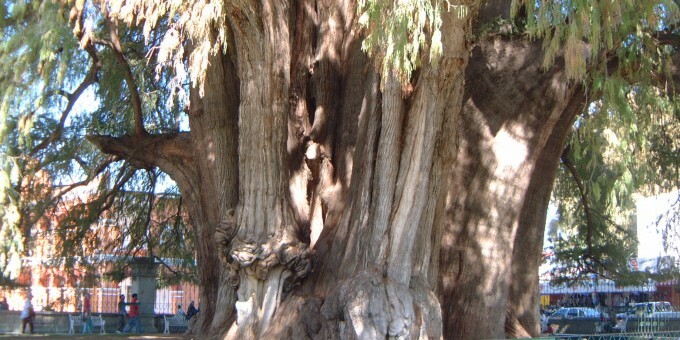 When you arrive in Santa Maria del Tule, you’ll probably find a crowd of people milling around the churchyard, home to El Tule, the oldest living tree in Mexico and one of the oldest trees in North America. There is a nominal entrance fee that will relieve you of just a few pesos, a sum that also includes an entrance ticket, on the back of which you can learn about the tree’s vital statistics. Its name in Latin is Taxiodium Mucronatum. A precise age is not given, but botanists have concluded that it’s “more than 2,000 years” in age. The tree has a 58 meter (190 feet) circumference, a 14 meter (46 feet) diameter, stands more than 42 meters (139 feet) high, and has as estimated volume of 816 cubic meters (28,800 cubic feet). According to the same ticket El Tule weighs “636,107 tons”. If you’re wondering how the weight of a living tree is calculated, there are two methods, discussed here. El Tule is quite an impressive sight, and it’s also quite humbling to stand beside (and under the shade of) a living thing that has been around since Roman times. 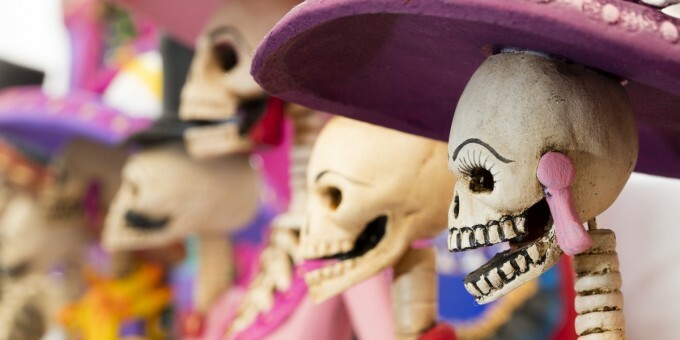 It’s well worth the short journey from Oaxaca city to the village of Santa Maria del Tule. Weekends are particularly busy, so week-day visits are recommended to avoid the biggest crowds. 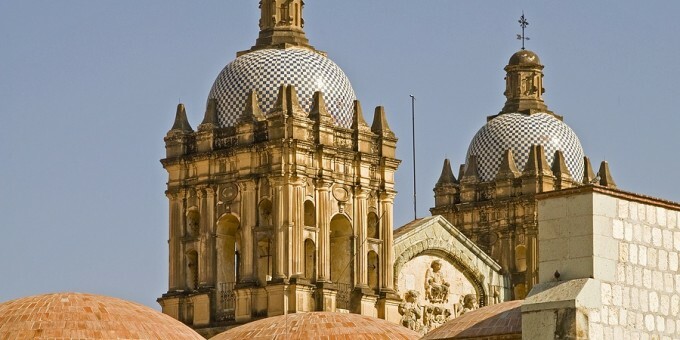 Learn more about the remarkable colonial city of Oaxaca here on Mexperience. The Tule tree is truly an awesome sight. I cried in her presence and all the pain and joy she’s seen. Well worth the visit. Thank you for your brief article about our famous tree. As a resident and business owner in Santa María del Tule, I can add that your reporter was present during our town fiesta to celebrate the Virgen de la Candelaria, hence the decorations on the church. The night of February 1 we had celebrated with the traditional calenda (procession) and various pyrotechnics including toritos (little bulls)and the castillo (castle). Other events that week included a celebratory mass, a candy toss, bull riding and evening dances. This fiesta is one of several celebrations that take place each year in our plaza that includes beautiful, well-tended flower gardens, is bordered by a plethora of economical yet quality restaurants and shops to sample both mezcal and nieve (ice cream), and is filled with happy friendly Tuleños, proud to call our town home.